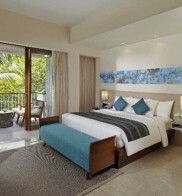 Stay in one of our Bali hotels and enjoy a luxurious stay on the Indonesian island at an affordable price. 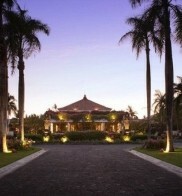 We have over 10 hotels in top resorts across Bali, providing the perfect setting for your holiday. Our air-conditioned hotels feature all the amenities holidaymakers would expect, including swimming pools, dining and entertainment areas to make your holiday even more relaxed. 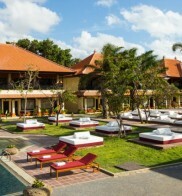 Whether you choose a 3 star, 4 star or 5 star hotel in Bali, you are guaranteed excellent hospitality and a relaxing stay in the island paradise. 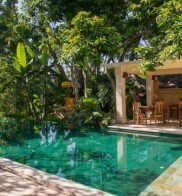 There are many great deals to be found on our Bali hotels, with many offering no single supplements for those travelling alone. Book a stay in a top 4 star Bali hotel, and find out what's included in your comprehensive package holiday to Bali, with extra upgrades available including stopovers in some of the world's most majestic cities to take your holiday even further. Whether you choose Bed & Breakfast or a supremely relaxing Bali all inclusive holiday on your stay in Bali, you can look forward to the trip of a lifetime when you choose affordable holidays with Mercury Holidays. 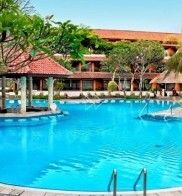 Book a Bali hotel online on the dates ideally suited to you, or alternatively check out our last minute deals on Bali holidays to find a bargain today. To book your Bali hotel over the phone, call our Reservations team and choose your Bali hotel stay or package holiday in Bali today.